Exquisite patterns and stunning designs on concrete surfaces are an integral part of the services offered by RC Concrete. 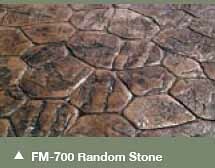 These decorative concrete patterns are made in such a way that they replicate natural materials which would be quite expensive to use. 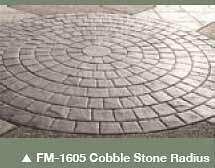 RC Concrete has for the past two decades been one of the most renowned names in the stamped concrete patterns market. Providing such sophisticated techniques to improve the appearance of your residence, we are always a phone call away. The patterns are chosen carefully in such a way that it will blend in with the stone or other elements of the residence to provide a comprehensive improvement in the appearance of the area. Patterns can be combined with other finishes to provide an amazing effect. A proper application of these techniques can provide an exquisite appearance while maintaining a natural feel. Homes have long used a number of construction materials to build their patios. As a result, stamped concrete patterns are quickly becoming popular and are replacing wood as a construction material. Due to the rising demand for stamped concrete patterns in patios, driveways and pathways, RC Concrete aims to fulfill the requirements of the residents of the Tacoma and Puyallup areas. 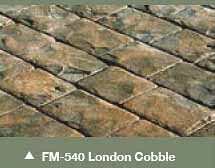 We provide a number of patterns that replicate some of the best construction materials. The best feature that RC Concrete provides is the customs stamps that allow you to place your own customized stamp that will provide a unique feel to your home and will make it different from everyone else. Contact us at RC Concrete, where we will take care of all your stamped concrete needs.